Home / CELEBRITY NEWS / Vera Farmiga Combats Demons Anew in "The Conjuring 2"
Vera Farmiga Combats Demons Anew in "The Conjuring 2"
Returning in her iconic role as demonologist Lorraine Warren in New Line Cinema’s supernatural thriller “The Conjuring” is Oscar-nominated actress Vera Farmiga (“The Judge,” TV’s “Bates Motel”). “The Conjuring 2,” with James Wan once again at the helm following the record-breaking success of “The Conjuring,” brings to the screen another real case from the files of renowned demonologists Ed and Lorraine Warren. Reprising their roles, Farmiga and Patrick Wilson, star as Lorraine and Ed Warren, who, in one of their most terrifying paranormal investigations, travel to north London to help a single mother raising four children alone in a house plagued by malicious spirits. “A lot changed for Ed and Lorraine in the years between [the two films.] I think it was six years of spiritual warfare, skepticism and wariness from the outside, six years of demon combat,” Farmiga observes. In fact, there’s a rather famous photograph their research team captured that shows the image of a little boy peering over a railing from the second floor, believed to be one of the DeFeo family members who’d been murdered in the house many years prior. The film shows how overwhelmed Lorraine is by a demonic presence during the séance, and later, at home, as it continues to plague her. “For me, part of the reason I came back to do ‘The Conjuring 2’ is the opportunity to work with Vera and Patrick again,” says Wan. “I had such a great time with them on the first movie, so to expand on this world and work with people I truly love was just great. They really make you care about the Warrens, and I think in horror movies it’s important that you care about the characters—then the scares play out so much stronger. 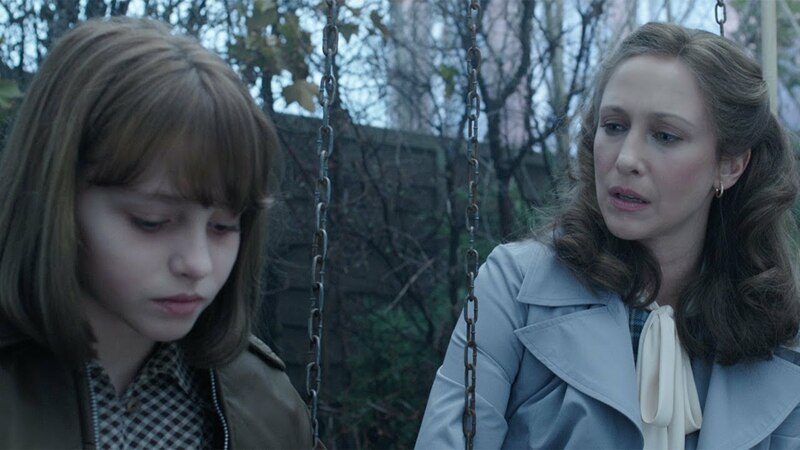 Opening across the Philippines on Thursday, June 09, “The Conjuring 2” is a New Line Cinema presentation and will be distributed by Warner Bros. Pictures.